"​One thing that I did not dare dream about was to become a leader – not for a second until a night in 2014. I was sitting on my desk, thinking and writing my application for an IC position through ZGAS. I thought long and hard on the application questions. I then responded by writing, “I want to make an impact on this community” and I was serious about it. That simple sentence has grown to something even bigger. It’s become a mission that I have embraced through the days and nights. The power of a mission statement goes far beyond my imagination. Likewise, the returns have exceeded what I had wished for, to name a few: leadership, friendship, mentorship, and maturity. If I am allowed only one thing to speak highly about ZGAS, it is that ZGAS is a community that makes building and creating trust a priority! You may not want to become a leader yet, but you shouldn’t refuse to admit yourself to this positive energetic environment. Looking back, that application has changed my life – at least on how I view myself. So seize yours today! Let the structure of ZGAS do the weight lifting!" 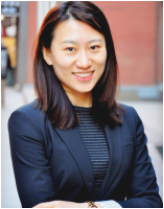 ​"It was an honor to be part of ZGAS during my years at Baruch. ZGAS is the place to practice collaboration and professionalism. We work with people who are self-motivated and disciplined, and find peer models that shape our manner of professional interactions. ZGAS is also the best place on campus to live as a family. We care about each other and share every piece of information and advice to help each other grow. I am so glad to have worked on this team and serve Baruch. It's competitive to get in, but the experience is truly amazing!" 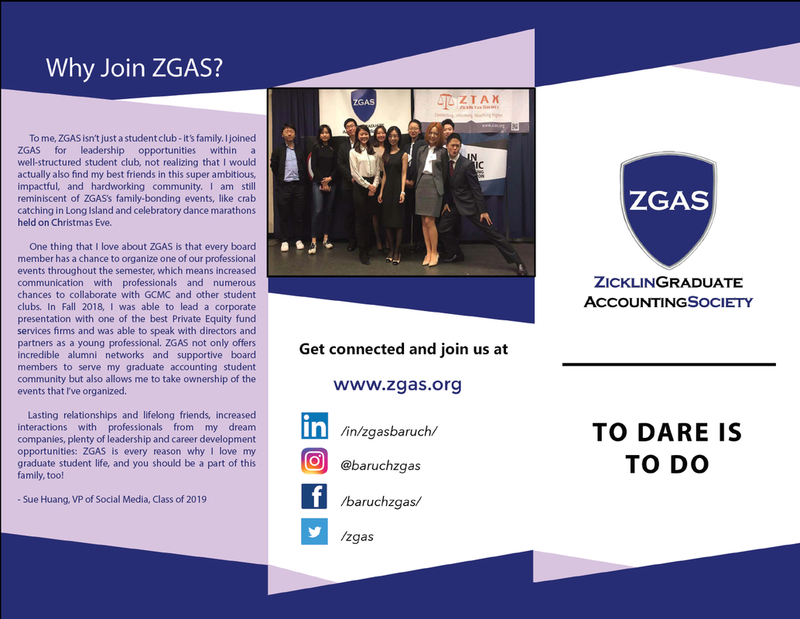 ​​"Joining ZGAS has changed my life in so many ways than just one! Thanks to the first ZGAS networking event, I landed the internship of my dreams! More importantly, at ZGAS, I've met incredibly talented, passionate, and just amazing friends who respect and support one another. I am very proud to have been part of ZGAS and grateful for being given the chance to work, learn, and grow together with such a fabulous team! The experiences you gain and the friendships you develop at ZGAS won't just stay within the walls of Baruch; they will continue beyond those walls throughout your life! I hope that you'll decide to join the ZGAS family. This decision will change your life in the most positive and powerful way as it did for me!" ​" I want to join the ZGAS board so much that I served on the internal committee for a whole year, before I finally became the VP of marketing. That was one of my biggest achievements at Baruch. Without it, I don't believe I would have landed my dream job. 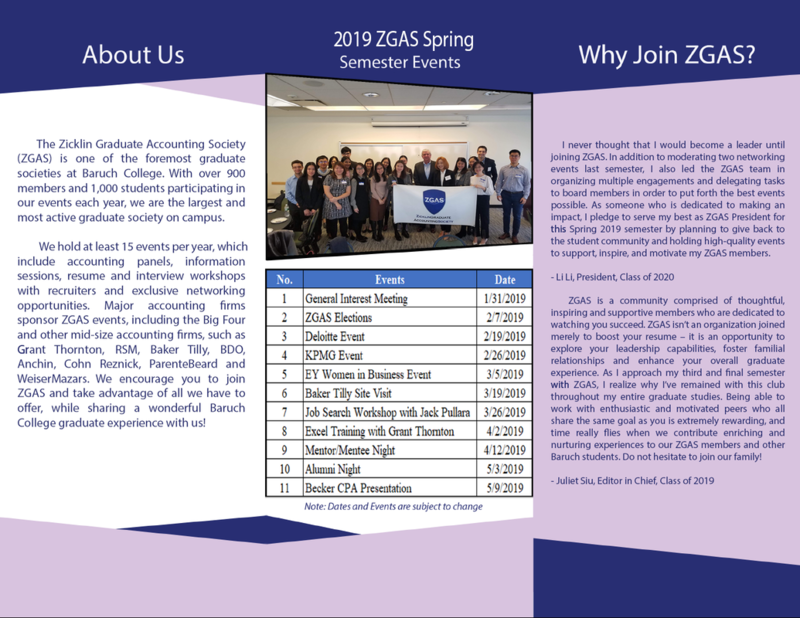 If you are determined to become a CPA, if you want a complete "Accounting student at Baruch" experience, or if you simply want to make some more friends, don't miss out on ZGAS! You won't regret it!" "I have served as a board member in ZGAS for two years. For me, the people at ZGAS makes it a different club. As the Vice President of Social Media, I utilized social media platforms to actively promote the club and professional events. My role helped me improve my written and spoken English a lot. As an international student who just moved to the U.S., I feel so lucky to join ZGAS. I made some great friends who helped me better adapt to a totally new environment and encouraged me to display my talents. I really liked working in a team environment where equally driven and talented people worked hard to better serve our members. I feel so proud to be associated with ZGAS. If you want a similar experience, you should definitely join ZGAS!"